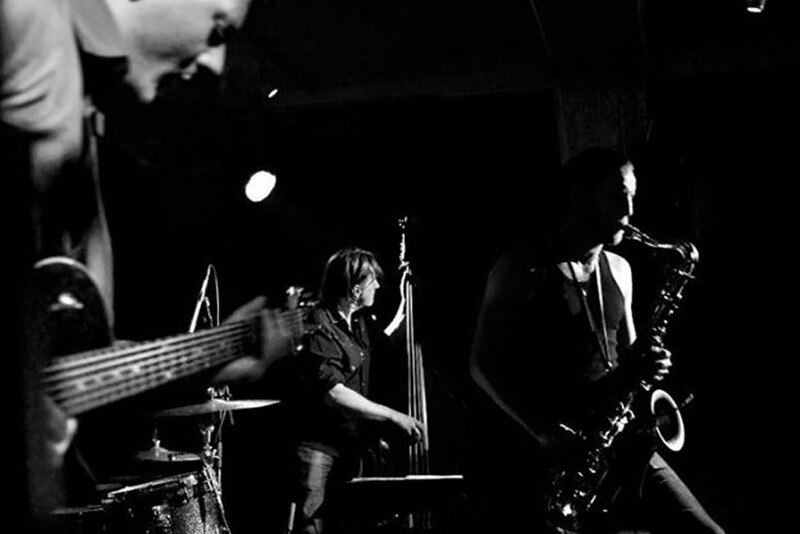 Chrome Hill is Asbjørn Lerheim (baritone and electric guitar), Jørgen Munkeby (tenor saxophone, Roger Arntzen (double bass) and Torstein Lofthus (drums). Guitarist Asbjørn Lerheim from Lisa Dillan Quite Quiet Project formed Chrome Hill with fellow music students Roger Arntzen (In The Country, Ballrogg, Håvard Stubø Trio), Torstein Lofthus (Elephant 9, Shining) and Jørgen Munkeby (Shining) at the Norwegian Academy of Music in 2001. Chrome Hill has since the beginning in 2001 existed under the the name Damp, and released the albums Mostly Harmless (Songs) in 2003, and Hoatzin in 2005 on the label Aim Records to much acclaim. Chrome Hill released the album Earthlings in November 2008. Chrome Hill is releasing the album Country Of Lost Borders on April 5th 2013 on Bolage.